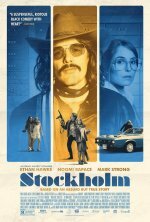 Based on the true story of a 1973 bank heist and hostage crisis in Stockholm. Stockholm release date is set for TBA, 2019. Chronicled in the New Yorker article "The Bank Drama" by Daniel Lan.